Future Star in business litigation for 2009 - 2017 by Benchmark Litigation, a guide to America's leading business litigation firms and attorneys. Graduate of 2009 Alabama State Bar Leadership Forum. In twenty years of practice, Mr. Gaal has handled a variety of complex bankruptcy, business, and commercial litigation cases, as well as class action defense and products liability cases. Among this history of diverse cases are significant Chapter 11 bankruptcy cases representing creditors and debtors-in-possession, as well as representing Chapter 7 trustees, including in one of the largest Chapter 7 cases ever filed in Federal Bankruptcy Court in Alabama by publicly traded entities and affiliates. 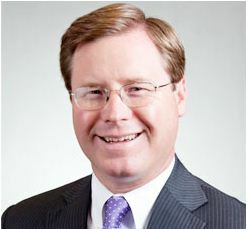 Over the years, Mr. Gaal has successfully tried numerous jury and bench trials in state and federal court, handled class certification hearings, and argued hundreds of contested matters and adversary proceedings in federal bankruptcy courts in Alabama, Florida, Louisiana, Mississippi, Oklahoma, and Texas. Mr. Gaal is admitted to practice in Alabama and Florida and regularly practices in these states and is regularly admitted pro hac vice in other jurisdictions. Mr. Gaal approaches each case dedicated to providing the type of service he would expect as a client: good judgment, hard work, an excellent work product, practical use of all client resources, and consistent communication. He and his wife, Terri, are parents to three sons. Mr. Gaal enjoys traveling with his family and playing golf, fishing, and hunting with his three boys.